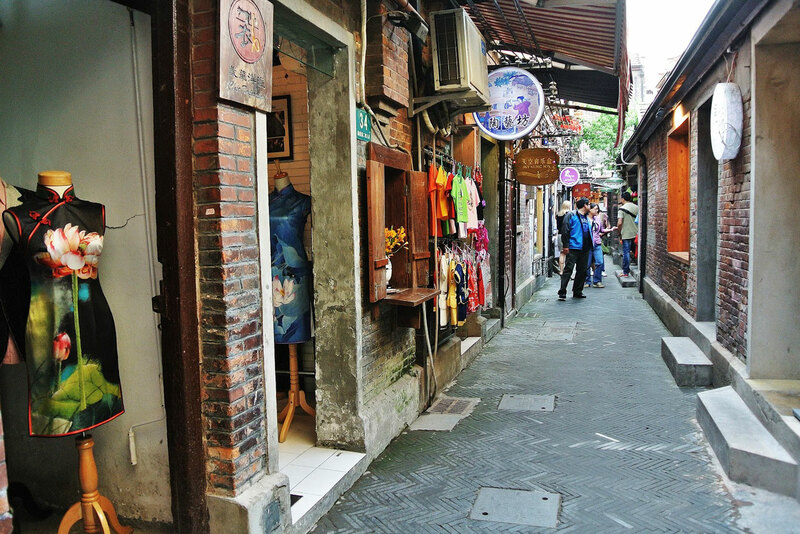 You'll find Tian Zi Fang in Shanghai's French concession area - a secret gem for fashionistas. Step off Main Street Asia, take a side street or laneway, and discover where the real designers are at in Asia’s major shopping centres. Walking the streets of new cities can be daunting without the help of a trusty travel guide. You can often miss the best piccolo in town or the greatest place to find a bargain. Shopping in Asia is no different. Often we are pulled by the crowd into glitzed up super malls and never ending market mazes. These three locations will give you the real local designer deal. If the saying ‘Paris of the East’ is anything to go by then Shanghai has a lot to offer the fashion lover. Tian Zi Fang, in the French concession area, is where it’s all happening. Step away from the skyscrapers and visit this fashionista’s secret laneway. Don’t be deterred by the shabby shopfronts; behind these doors are young artists and designers bursting with unique pieces. Jen Fen Shi Jia, meaning ‘noble family’, offers independently designed and hand sewn garments, both modern and traditional. Now that beats a set of chopsticks. Another stop would be Raffles Privato, a store exclusively for the top graduates of Shanghai’s Raffles Design Institute (raffles-design-institute.edu.sg). Grab some sushi and put on your walking shoes. One of the busier districts of the city offering exciting new fashions is Daikanyama, Shibuya. It is where the young ‘uns go to be inspired and to inspire. Mixed in between the international brands, you’ll find Japanese designers offering quirky pieces. Visit the flagship store of designer Tsumori Chisato – she brings embellishments and patterns to life with her signature designs (tsumorichisato.com). With shopping being one of its top attractions, it is hard to know where to start. Take a moment, move away from the chain stores and check out the quaint Ann Siang Hill, a vintage and designer haven with little boutique fashion, art and lifestyle stores.